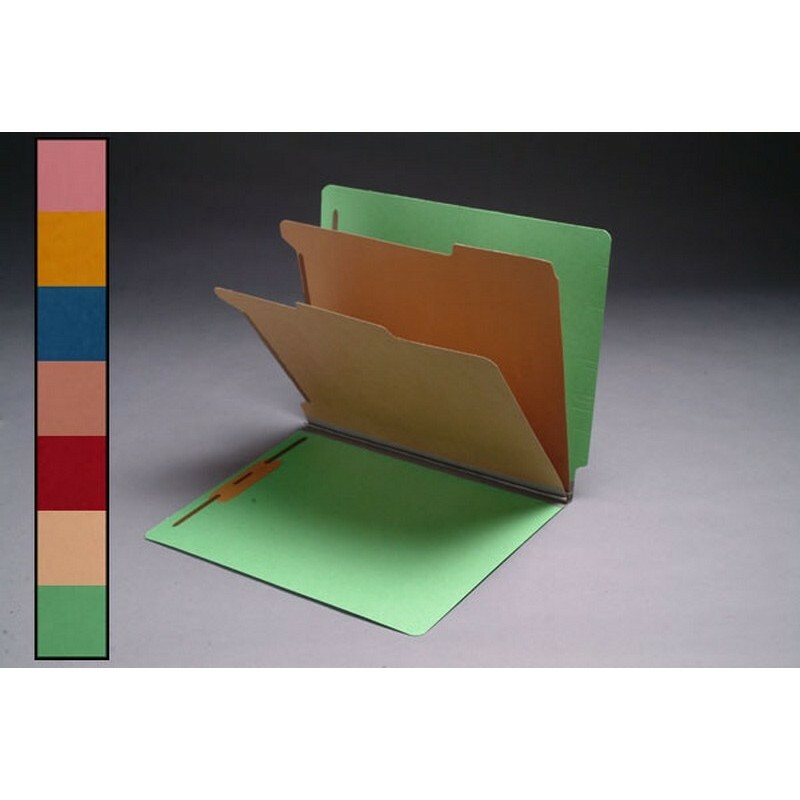 These 18pt Color Classification Folders are a great alternative to pressboard classification folders. They are designed for easy classification of documents within the file and can be used to represent specific applications. 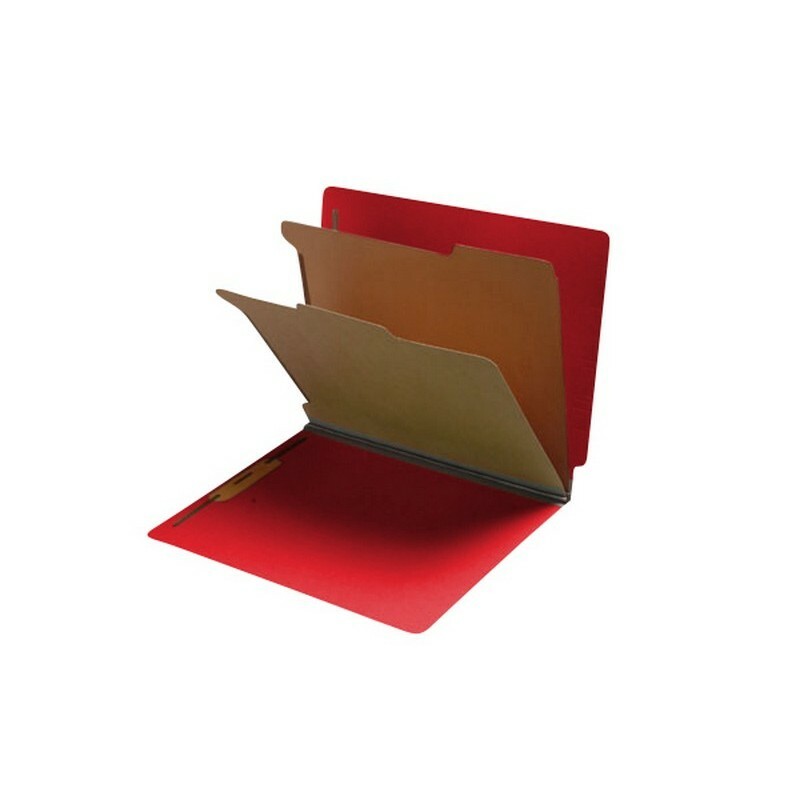 Additionally, each folder contains two 17pt brown kraft material dividers with 2" duo fasteners for securing documents. These folders are perfect for active file room applications. Folder Size: 12-1/4" W X 9-1/2" H, 9-1/2" High Front. 7 Color Choices are available: Dark Blue, Green, Red, Salmon, Yellow, Pink and Tan. Please fill out the form below to request special volume pricing on the product S-9035.